Interborough News Co., New York, N.Y. U.S. Navy official photo. Interborough News Co., New York, N.Y. U.S. Navy official photo. , “U.S. 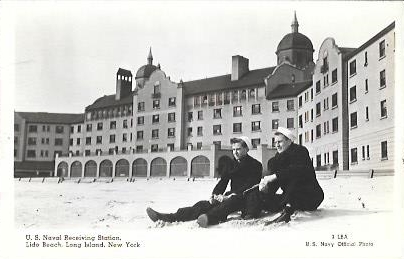 Naval Receiving Station. 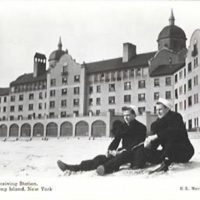 Lido Beach, Long Island, New York,” Hofstra University Library Special Collections: Digital Collections, accessed April 22, 2019, https://omeka.hofstra.edu/items/show/2246.